The Lea Valley Walk is a 50 miles (80 km) trail from Leagrave (the source of the River Lea near Luton) to the Thames at Limehouse in east London. 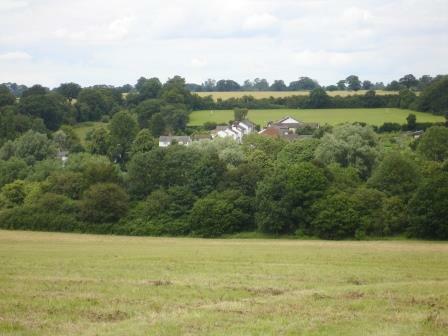 Much of the walk is rural, including the stretch through Wheathampstead, although from Hertford the route follows the towpath and becomes increasingly urbanised as it approaches London. The walk, opened in 1993, is waymarked throughout using a Swan logo waymarker. Along this section of the walk you can look northwards across the valley. This southern side of the valley is particularly rich in birdlife, including skylarks, swallows, goldfinches, green woodpeckers, greater spotted woodpeckers, sparrowhawks, red kites and buzzards.